The Cherry Hill Board of Education strategic planning committee reviewed some of the items it could include in the district planned bond referendum last Wednesday. While the Cherry Hill Board of Education plans to sift through dozens of projects to potentially include in the school district’s planned 2018 bond referendum, one area appears to be a top priority. The Cherry Hill Board of Education strategic planning committee received an update on the referendum process during its meeting last Wednesday. Assistant Superintendent for Business Lynn Shugars walked through the many projects with the committee members and explained how the board may want to prioritize certain items to include in the referendum. On Dec. 5, district officials gave a presentation detailing dozens of projects the district could potentially include in the bond referendum. Many of these projects were included as part of the “Cherry Hill Public Schools 2020: A clear vision for the future” plan the board adopted on Dec. 19. The strategic planning committee meeting last Wednesday examined a few of these areas in greater detail. While the board has not yet pinpointed specific projects, a dollar amount for the referendum or how many questions will be on it, one major priority district officials identified is the importance of health and safety upgrades. Shugars and Superintendent Joe Meloche spoke of how health and safety would be the top priority in the referendum over the past few months and reiterated this priority last Wednesday. The biggest discussion at the meeting was about how to include as many health and safety items into the referendum without affecting local taxes. 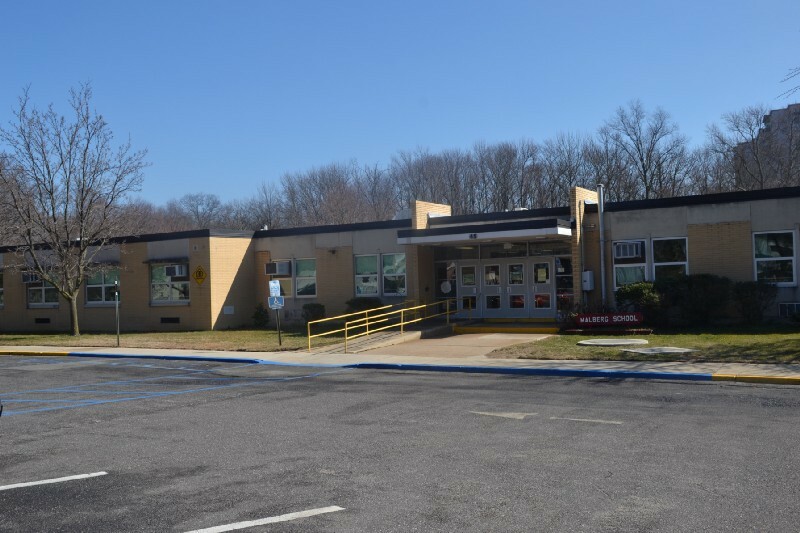 With Cherry Hill Public Schools scheduled to be debt free for the 2019–20 school year, Shugars said the district could have a bond referendum of up to $51 million without impacting taxes. District officials want that $51 million to be allocated to the most important health and safety projects. The biggest priority for the district is security. The district unveiled security upgrades at Barclay Early Childhood Center in January. The upgrades included a security vestibule, cameras, swipe card access in place of keys and external strobe lights. During the unveiling of the upgrades, the district said it planned to implement the same upgrades at the other school buildings as part of the referendum. After security, the next highest priority item is roof replacements. Shugars said many of the buildings in the district will need some kind of roof repairs, with the repair jobs varying from school to school. After roofs, Shugars mentioned masonry repairs are a major item, with some kind of work needing to be done at nearly every building. Two asbestos abatement projects were also considered important safety items. Shugars reiterated her comments in the December presentation on how the district needed to perform a large-scale asbestos abatement project at Carusi Middle School. A smaller scale asbestos abatement is also needed at Rosa International Middle School. One final item listed under health and safety was the replacement of fire alarm systems at Carusi, Barclay Early Childhood Center and Kingston Elementary School. The district had already replaced all of the fire alarm systems at the other schools as part of previous capital projects, but Carusi, Barclay and Kingston still remain. While Shugars and members of the board didn’t commit to the health and safety items being the first question on the ballot, she mentioned those items would likely encompass most of the $51 million the district could put in a referendum without increasing local taxes. After discussing health and safety, the committee took a quick look at other categories where items could be included. In the instructional spaces category, some of the proposed projects include adding new small group instructional spaces in multiple buildings, upgrading bathrooms, all-purpose rooms and science labs. Under infrastructure, proposed projects include HVAC upgrade, crawl space repairs, cement block repairs and soffit repairs. The fourth category includes hard surface repairs such as new curbs, sidewalks, paving and improved building accessibility. The final category, community spaces, includes gym upgrades at Carusi, locker room upgrades and auditorium improvements at Cherry Hill High School East. Shugars said some of these projects could be incorporated into the referendum, while other projects, especially ones taking place at individual buildings, could be done in another manner. “If a project would only affect one or two schools, we may decide to do that project another way, such as through capital reserve,” Shugars said. The district is planning to hold its bond referendum on Tuesday, Oct. 2. The state Department of Education must receive a list of proposed projects from the district by the end of March. Board members and school officials will continue to have discussions and hope to nail down specific projects, a dollar amount and the number of referendum questions by early-to-mid March. For more information on the Cherry Hill Public Schools’ bond referendum plans, visit http://www.chclc.org/board-of-education/2020-vision.